We have worked with Salvatore Cincotta Photography for a couple years assisting them with their logos, packaging, websites and branding. We have just began to redesign their new website. It is currently in the design stages, but below is a sneak peek at the new proposed home page design. 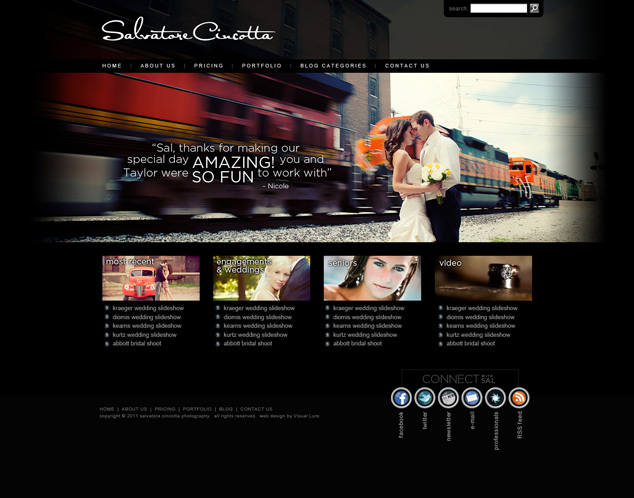 The new website will be built in WordPress and have many custom features. 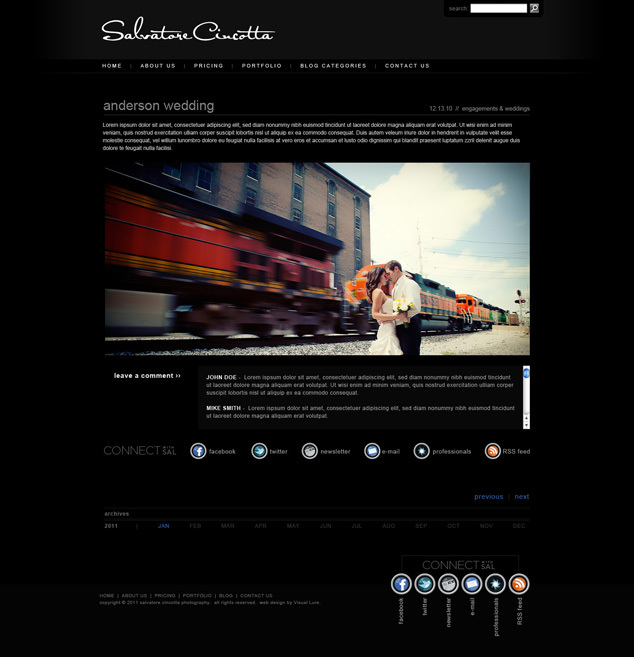 We will add a post when the new website is up and running, and in the meantime, if you are looking for a great photographer you can visit their current website at www.salcincotta.com.